Dubai, UAE, August 15, 2018: Smart Stores Expo has announced the participation of Karbala Oasis, an upcoming shopping destination in Iraq, as its retail leasing partner. This development will see Karbala Oasis showcasing at the trade show its more than 222,873m2 total build up area and more than71,625 m2 leasable area of retail space to premium brands looking to tap into promising business opportunities offered by the improving Iraqi economy. Based on BMI Research's latest report, the Iraqi economy is projected to expand 1.5 per cent this year before picking up in 2019 with an estimated growth of 4.5 per cent. Ongoing reconstruction efforts will also boost spending on infrastructure in the years ahead, and BMI predicts that this will stimulate Iraq's non-oil economy and enhance consumer spending. Karbala City is 90km from Baghdad, and being located in one of the most strategically important cities in the mid Iraq, Karbala Oasis is being touted to become the retail centrepiece of the town with its unique blend of commercial, entertainment and tourism attractions. 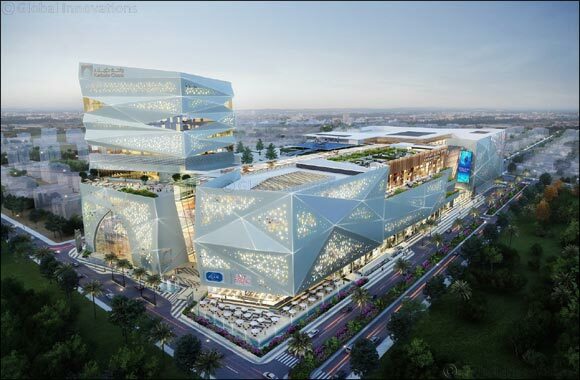 The US$ 65 million project involves the construction of a four-level mall featuring five main oases – Shopping Oasis, Food Oasis, Fun Oasis, History Oasis and Residence Oasis – each boasting its own innovative design. In addition to the main shopping complex, Karbala Oasis also boasts a 22,000m2 12-storey 5-Star Hotel (with 12 Suites and 98 Rooms), a 5,600m2 Al Taf Panorama and 1,116 m2 Parking Space. Karbala Oasis' wide range of world-class lettable retail spaces will be a banner feature of Smart Stores Expo under the Retail Leasing category. This section of the expo is open for all types of retail property players to showcase their upcoming retail projects and connect with top retail brands, who can potentially lease the space. Smart Stores Expo, devoted to showcasing the latest trends, developments and technologies shaping the future of retail, is scheduled on September 4 – 6 at the Dubai International Exhibition and Convention Centre. “Karbala Oasis is a catalytic project in Iraq that promises an enormous breakthrough in the revitalization of the country's economy. It is about to emerge as a compelling new landmark for shoppers in this region and from across the globe. Keeping in mind the bright future ahead of Iraq, its oil wealth and young population with increasing spending power, Karbala Oasis is indeed an interesting venue where retail players should establish their presence,” said Jayaraman Nair, Chairman, VIS Exhibitions and Conferences. “We are proud to play an integral role in shaping this new retail development and we look forward to forming strategic partnerships with other mall developers and property firms. Smart Stores Expo is the definitive platform for your space to be discovered by top local and international retailers,” he added. In addition to the exhibit featuring retail vendors, suppliers and property developers, Smart Stores Expo will feature a conference comprised of presentations and panel discussions from a line-up of local and international industry experts. They will discuss emerging trends and market challenges, covering a wide range of topics related to the industry.